Specifically developed for bream fishing. The strong almond smell and taste is overwhelmingly sweet and works especially well during those warmer months. The special structure of the bait makes it very sticky which is perfect for deep and flowing water. The bright yellow colour is extra attractive during summer months and in murky water. By leaving the bait relatively dry it can also be used for shallow water. The ultimate bait for those cold months, clear water and cautious fish. Ice Age has a lower nutritional value. The spicy mix of aromas and seeds will draw fish in, even the most cautious ones. The bait is black which makes it blend in perfectly with the background. Ice Age focuses on getting maximum results out of the most challenging conditions. Suitable for all types of coarse fish, but extra effective on rudd. 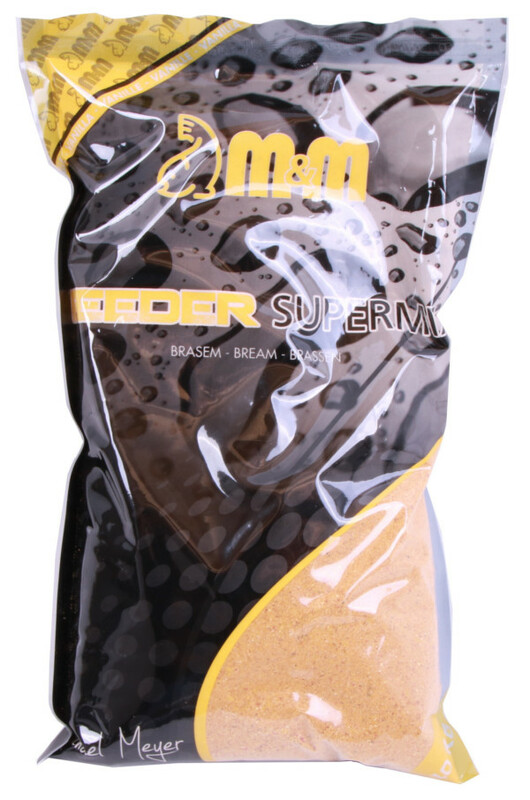 Feeder Supermix Karamel is a very complete and all-round feeder mix. 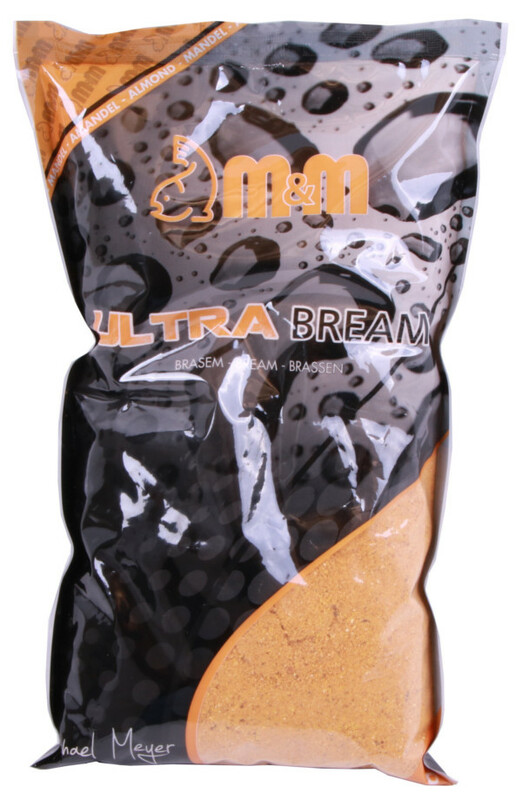 The brown colour makes it suitable for both clear and murky water. The different coloured particles drawn fish in from far away. The caramel smell and taste make it absolutely irresistible to bigger fish. The consistency and structure are perfect for a feeder. As soon as it is on the bottom, the Feeder Supermix will be released from the feeder and the bait, aromas and nutrients will be released in the water. 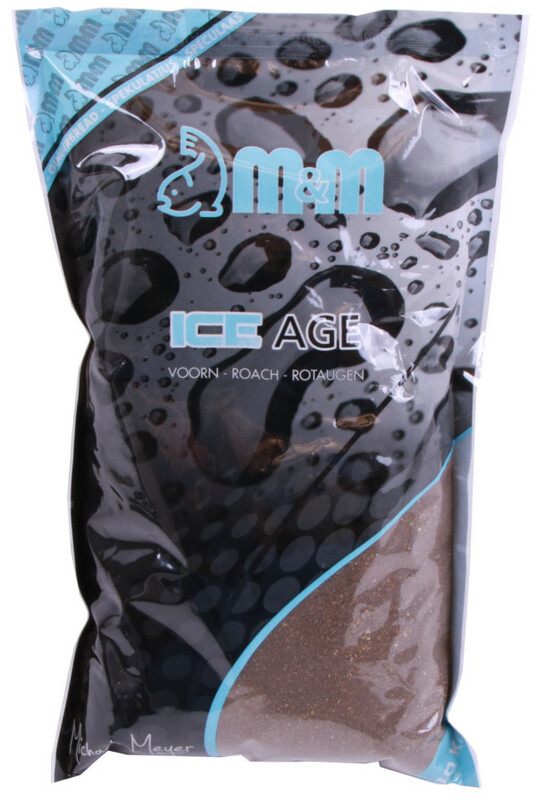 This complete feeder mix is the perfect choice for bream fishing during those warmer months of the year and for murky water. The yellow colour is very effective on bream. The different coloured particles draw fish in from far away. The delicious vanilla smell and taste is very attractive and spread quickly underwater. The consistency and structure are perfect for a feeder. The feeder mix is very sticky. 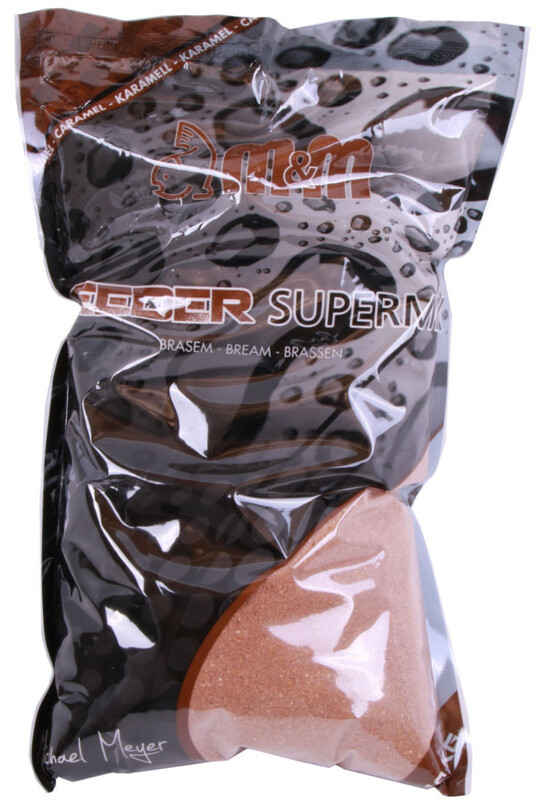 Once it reaches the bottom, the Feeder Supermix will be released from the feeder and the bait, aromas and nutrients will be released in the water.